When comfort and style come together, people just become crazy about that product. This has been done by jute wrist bands that are in huge demands now a day. Different choices in fashion have created the demands of wrist bands fashioned with jute. This is one of the natural fibres composed in lignin and cellulose. 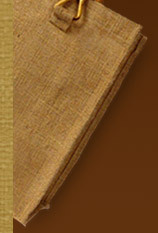 Jute is graded according to strength, fiber length (3 to 15 feet long), color (off-white to brown) and so on. For soft, lustrous and shiny fiber, jute is widely used to design wrist bands in numerous sizes. Coarse and strong threads of jute add durability to the end product. Hence, such jute wrist bands are reckoned for highs strength and sturdy nature. As jute is one of the cheapest natural fibers, it has become quite popular for making affordable bands to fulfill the need of every budget. 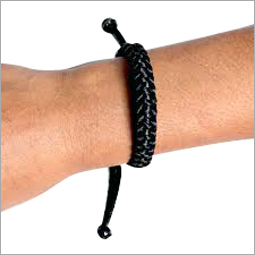 The wonderful range of jute wrist bands can be easily worn with any apparel clothing, be it modern or traditional. Its eco friendly nature helps wearer to protect the environment and keep it green. Jute wrist bands are 100% environment friendly making them the first and foremost choice of nature lovers. Comfortable to wear and skin friendly, jute wrist bands look great on hands that add style and chic to the persona. Their breathable nature makes the skin to breath and does not get wet due to sweat. They are uniquely fashionable available in a variety of designs to suit various occasions. They can be availed in different patterns ranging from hand printed, hand blocked, embroidered, tie & dyed, quilted and so on. In addition to this, they are adorned with varied beads, stones, mirrors, etc. to give them an attractive look. These cost effective jute wrist bands are soft, durable and long lasting making them highly demanding in the global market.